Hate to break it to you, folks, but HBO isn't nearly as far along with American Gods as some news stories would have you believe. 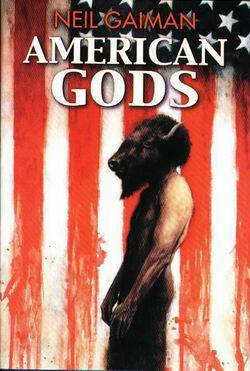 Ever since it was announced that HBO was going to be developing Neil Gaiman's American Gods into a full-fledged TV series, details have been pretty scarce about the eventual adaptation. Of course, that hasn't stopped rumors from flying across the Web. Unsurprisingly, a couple of HBO's executives recently sat down with Collider to put some of those rumors to rest. Michael Lombardo and Richard Plepler of HBO dealt with the two big rumors about the show: That Game of Thrones' success would affect the development of American Gods and that HBO had already committed six seasons to the new show. "We haven't gotten out of the business of developing from source material. We haven't said, 'Ah, Game of Thrones, we're not taking pitches anymore.' I think it's a challenge, always. We want to satisfy as many of our consumers as we can. But, at the end of the day, what we respond to is great storytelling. We had three psychiatrist shows on at almost the same time. So, all I'm saying is, with source material from the fantasy world - and I don't know how much you can extrapolate about George R.R. Martin because he's very unique in the world - some pretty compelling shows can come from genre and source material. We're open to it, we're developing it, and we'll see." Meanwhile, the claim that there were already six seasons being planned was explained as being nothing more than wild speculation. Lombardo stated, "It's very early development. It hasn't gotten to the place to even talk about that yet." Plepler followed up his colleague by explaining that "things like [American Gods] get announced as development projects, and then somebody writes about it, as if there's a 10-year commitment, and we haven't even seen a script yet. That happens frequently. It's in early development." Basically, there are two things to take away from this. The first is that HBO isn't nearly as far along with this project as is being reported (and fans were undoubtedly hoping). However, the second thing is that the network is convinced that it has something special on its hands and wants to treat the source material with the respect it deserves.